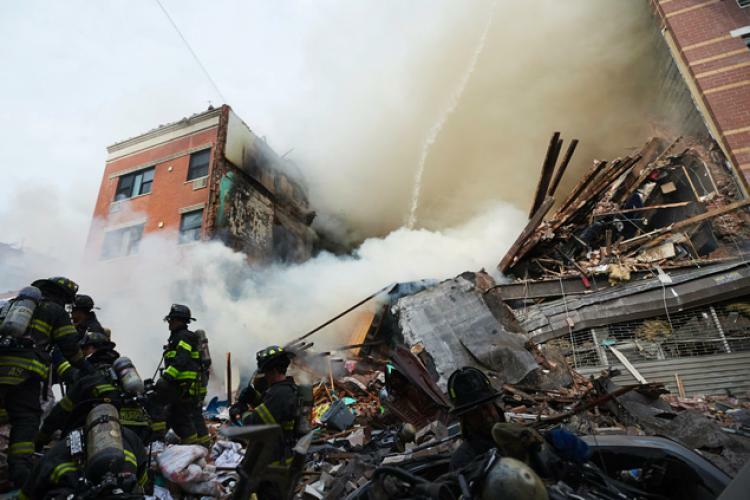 Yoni Bashan of the Wall Street Journal reported that a 20-year-old victim of the Harlem gas explosion, that killed as many as eight people and leveled two apartment buildings, is being represented by the law firm of Ronemus & Vilensky. Their client, Jose Vargas, was lifted from his seat and thrown against the interior of the bus as it passed by the explosion. The windows of the bus were shattered from the intensity of the explosion. Vargas was taken to a nearby hospital and treated for his injuries. Robert Vilensky is quoted in the article as saying that the firm has filed a lawsuit on behalf of his client against the city of New York. Bashan reports that the National Transportation Safety Board tested soil samples and found high levels of natural gas. So far Con Edison has made payment to 87 victims who lost their home or was injured. Bashan says the company runs the pipelines which date back to 1887.